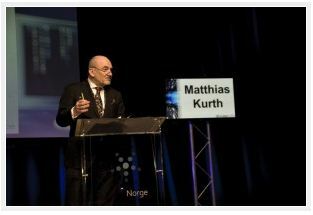 Speaking at the opening panel discussion of PIKE 2013, discussing the European Digital Agenda Digital Dividend, Kurth added that although the cable industry has made a huge contribution to bringing broadband to Europe, a different situation existed in each of the 28 EU markets. Some, such as Benelux and Denmark, could be described as perfect, while others, including Greece and Italy, did not even have any cable infrastructure. Commenting on white spots and the potential future build programmes for cable networks, he said that while it would be possible for cable networks to widen their coverage, a technically neutral solution was required. He cited an interesting example in Germany, where providers of LTE services have been required to provide coverage in rural areas before they reach urban parts of the country. Jerzy Straszewski, the president of the Polish Chamber of Electronic Communications (PIKE), meanwhile said that Polish cable operators have undertaken most investment from their own funds, typically allocating 30% of revenues. Of 4.5 million cable subscribers in the country, 50% had access to broadband services, with download speeds of 30 Mbps and above now the norm. Read more on the Broadband TV News website.